On the 8th October from 9am till 7pm there will be a free workshop held in the Gaiety Theatre in Akaroa about enhancing biodiversity around the Banks Peninsula area. The Banks Peninsula Conservation Trust and Lincoln University have assembled a great line up of contributors for farmers and landowners who want to increase the native biodiversity on their properties. 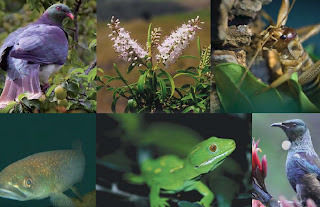 The programme features many speakers which much experience in various aspects of monitoring and enhancing biodiversity. Please contact Rachel Barker (rachel.barker@bpct.org.nz or 03 3296340) to register by the 2nd October. 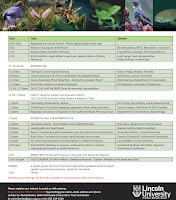 Click the picture for a detailed programme of event s.
My Grandfather had lots of tales to tell about biodiversity. He lived at Church Bay and (from memory) he talked about bats, a pink geko(? ), large skinks, weka, kakariki and his sister claimed to have seen a tuatara. That sounds great. Perhaps you could contact Mike Bowie (Bowie@lincoln.ac.nz). He might like to hear about this. We believe your blog more than deserves this honor. We would like to interview (email interview) you so we can better introduce your blog to our visitors. Bizymoms.com is one of the largest mom websites in the US with more than 25,000 articles, 800 city websites and 200,000 plus pages. I suggest you check out our alexa.com traffic rank as well. Please let me know if we can send you this interview by email. BTW- we also have a special logo for our Top Bloggers, which you can use to further build credibility with your visitors. I'm sure that would be fine. Send to Patersoa@lincoln.ac.nz.